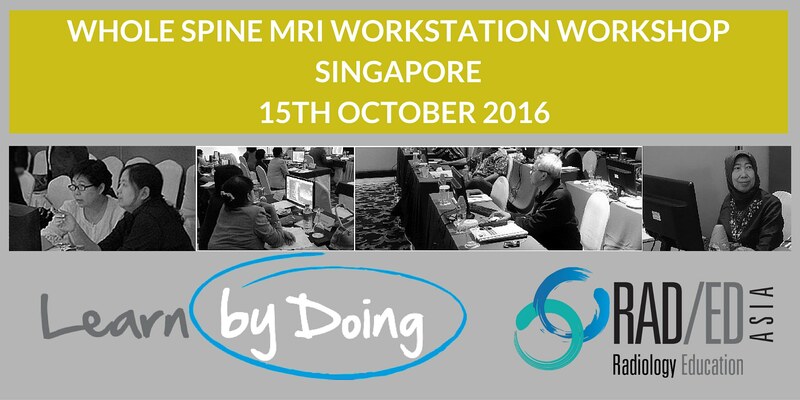 We will be running a one day intensive MRI Spine Workstation Workshop in Singapore on Saturday 15th of October. This will cover all aspects of Spine and Sacro Iliac Joint imaging. Like all of our workshops, this will be individual workstation based with guided viewing of hundreds of dicom cases of spinal pathology with complete coverage of the spine and SIJ’s. We will cover the full range of spinal pathology in a structured and guided manner so that by the end of the workshop, you will have be able to evaluate, diagnose and report spinal pathology. If you will be attending the NNI Neuroradiology Course in Singapore, the workshop will be on the day after the conference ends making it easy to attend the conference and workshop on the same trip.